The oversized trophy we regained after this single goal victory over Chelsea will not be valued in the same way as our F.A Cup or our gold Premier League silverware. In fact, it means very little in terms of accolades. 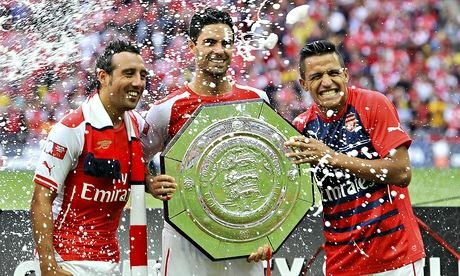 The victory that obtained the 2015 Community Shield however – and who we vanquished for that matter – are what really matters. The build up to the match felt very different to last years hammering of Manchester City . The previous year most Gooners were just desperate for a chance to see our new stellar signing Alexis Sanchez in full flow, and for another season to begin. Yesterday’s run-up to the game contained heat. It was very similar to the business end of a knockout tournament. This mattered. Not only to us though, Chelsea fans were gleefully awaiting another chance to rub our noses in the dirt like a naughty puppy. You cannot blame them for being expectant. This was the fourteenth attempt for Wenger to defeat a team managed by Jose Mourinho. Every game in that run played to a script so well rehearsed the lines were barely legible. Arsenal dominate possession. Chelsea line up rigidly and soak up pressure and hit on the break. Reliant on a powerhouse forward who can resist the overtures of Arsenal’s defence, who then either scores or holds up the ball so the ensuing break of Chelsea midfielders can feed from the knockdown of the aforementioned forward. Arsenal receive admiration for their vain attempts to play around ten men in a box, but are pilloried for showing the same naivety every game. Chelsea take the points. Jose makes smarmy comment. Social networking implodes. The same every time. So Chelsea fans cannot be blamed for expecting victory. Much like when we played Hull in 2014 for an opportunity to end our trophy drought, this match carried some heft. 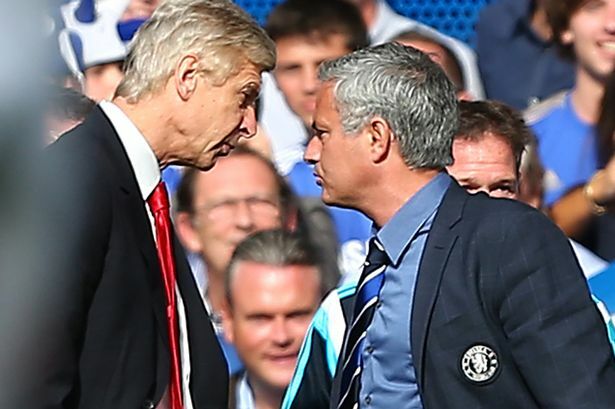 All talk before the game was of the fact Wenger had never beaten Mourinho. This traditional curtain-opener for the domestic campaign turned into a battle not between Arsenal and Chelsea – but simply between the two managers. For all the pressure that was on Arsenal, the players didn’t show it. A lineup that had attacking intent, with Bellerin getting the nod over the more defensively sound Debuchy and the rampant, powerful Chamberlain starting, Arsenal had the ammo to hurt Chelsea. Once again, Chelsea set up intent on soaking up the inevitable Arsenal pressure. Matic and Ramires sat deep and tried to shield Chelsea’s backline but this match felt different. Throughout the numerous times our attacks found a packed defence, it didn’t give off the overwhelming sense that we were there to make up the numbers. It truly seemed that we could pierce their resistance. 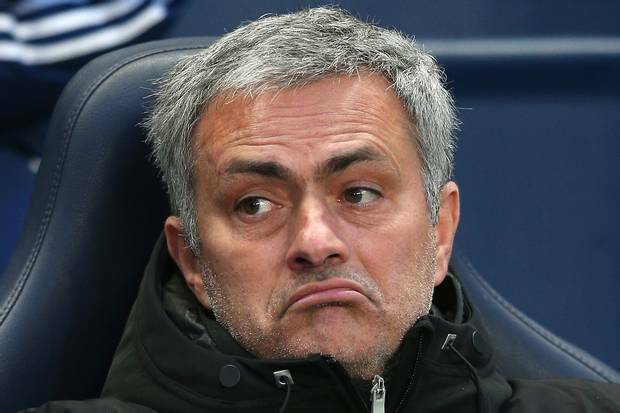 On the 24th minute, Arsenal finally scored against a Jose-led Chelsea. What a belter it was. Theo dropped back to find space and then distributed it to an onrushing Ox. He received it in the box, checked back and then unleashed an arrow of a shot into the far corner that Courtois could find no response to. The rest of the first half belonged to the Gunners. Courtois was called into action a few times, but it was simply Arsenal holding Chelsea at arms length. The Blues made no inroads whatsoever into enemy territory and when the whistle blew, Jose’s brow furrows were so deep, farmers could harvest wheat from them. The second half saw Falcao on in place of Remy and the South American’s movement was more menacing than the Gaul’s. This made no difference to an unflinching Koscielny, who simply slotted him into his ample pocket. Laurent was in the mood for a clean sheet and he mopped up where necessary if his fellow defenders were compromised. Chelsea were far more industrious in the second half and Hazard was seeing far more of the ball, but his success rate was no different. Ivanovic saw the best chance of the half go high and wide and other chances being built by an increasingly desperate Chelsea side were being snuffed out with aplomb. The first time our new goalkeeper was called into action was from an Oscar free kick and he kept out the shot superbly as it arced toward the top corner. That was the 68th minute. Giroud was given half an hour in place of an isolated Walcott and he instantly showed what different facets he offers. His strength and different movement unsteadied the Chelsea defence and two chances we created in the last ten minutes – one from Santi Cazorla and the other from Kieran Gibbs – warranted better finishes and should have seen the game wrapped up. A few minutes later though, controversy-chasing referee Anthony Taylor blew the final whistle and the curse Mourinho had held over Wenger was finally broken. Chelsea had knocked hard in the second half, but the new resoluteness found since our fantastic away win at The Etihad in January kept us steady. No more ridiculous numbers going in search of goals. Our men tracked, they tackled, they kept their head on a swivel. It wasn’t a cold, clinical performance, nor was it pure and harmonious. It was simply a victory that the team and the manager needed rather badly. We were the best team. We had more initiative, we controlled the game by having ball possession. Arsenal defended with 10 players, they put everybody in front of their own line and they had good organisation, congratulations to them. “They had a couple of chances in counter attacks but we had ours in organised football. They played their game tactically and found themselves one goal in front without any reason. “This season the Premier League title is very difficult but it is very difficult for everyone. The way other teams are spending they have big power in the hands while we are the same as last season. And with that we are going to try. Reading his words back, two things spring to mind. The first is how every syllable reeks of delicious irony. 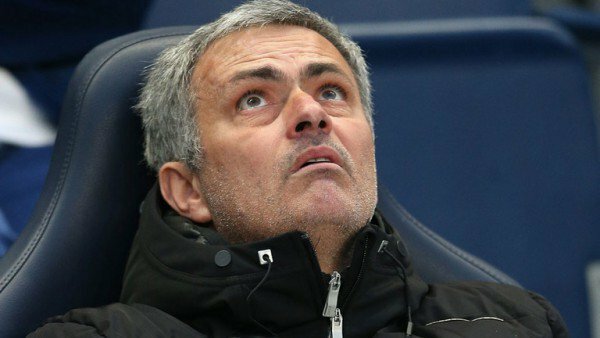 In every game we lost against Mourinho’s teams, we were lambasted for going gung-ho and lacking the professional approach that the CEO of Arriva Buses – Jose Mourinho – had adopted. His teams have birthed a new phrase now liberally used in footballing circles thanks to their defensive mindset – Park The Bus. Yet he looks straight into a camera lens and attacks Arsenal for defending? He says his team carried more threat – if that were the case, how come Petr Cech made his first serious save in the 68th minute? Chelsea no doubt had the better of the play in the second half, but the first half was comprehensively owned by Arsenal. In a match between to closely matched teams, there will be periods when one team is bossing the other, so any manager can then make a blinkered comment about being on top and therefore more deserving. Secondly, this victory has caused him to reconsider the threat that the Gunners pose. Chelsea set up how they have done against Arsenal for many years now, but this time, it didn’t reap dividends. It was expected that the plan would work once more, but finally we have an answer for it. The shield didn’t matter. The sole focus was to send a resounding message to Chelsea and especially Mourinho. One that even he couldn’t ignore. A more mature performance from Arsenal and a squad that has true depth. Add to the mixture an experienced and wily manager and we have a concoction that could give Jose nightmares. He has already been deprived of his security blanket made from Roman Abramovich’s cheques. Jose will not be sleeping well tonight. Finally. Jack and Aaron – Where Do They Fit In?